Shape as language- If shape has its own language then what does it communicate? By zooming into the details of my Shu Uemura’s Eyelash Curler I discovered that the flow of the object is both practical as aesthetic. 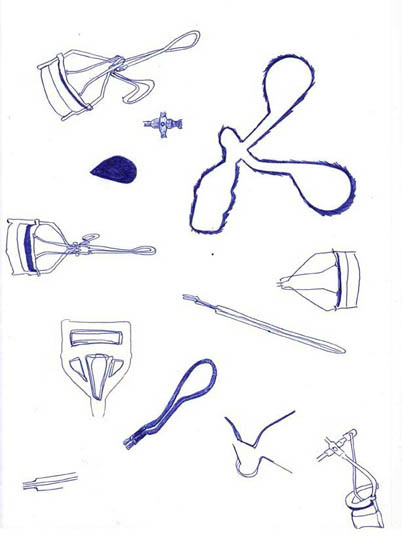 For example the flow of wire suggests that the least material was used making it a practical decision. However the screws with its specific smooth curved heads also reinforce the flow of the object making it not merely a practical choice. Analyzing the flow of the object and sketching its shapes from different angles lead mine pen to the final shape of a shopping cart. 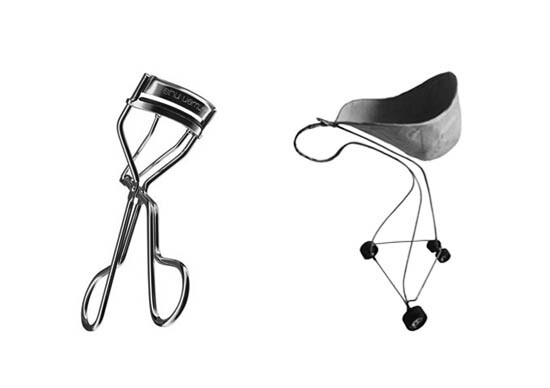 I tried to apply the elegant design qualities of the eyelash curler into this new shopping cart by creating a flow with the least material. It was interesting to use shape as a tool. 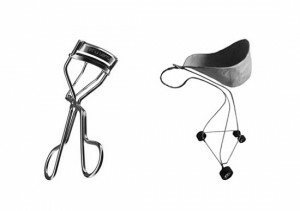 In this manner the concept behind the shopping cart follows the shape and qualities of the eyelash curler. Furthermore by putting the object in its environment the concept behind it begins to speak for itself. In other words what you see is what you get. At the end what does the shape of this shopping cart communicate? I would say consume less because the basket is twice as small as a regular supermarket shopping cart. Also the shape of the handle makes it not possible to lean on. Thus people will unlikely stroll in the supermarket and get less seduced by products that are not on their list. In this way consumers rather use the supermarket instead of the other way around!